The installation of a custom script often requires a special file permission; in some instances it may be necessary to set a file or directory permission. 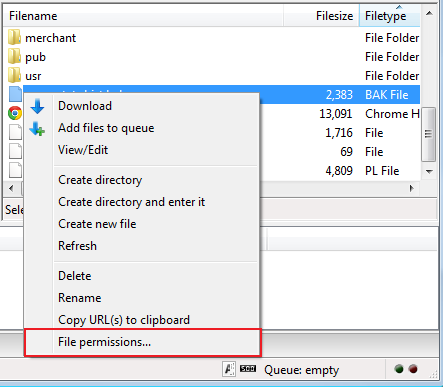 For this example we will use FileZilla. Open Filezilla and connect to your web site. 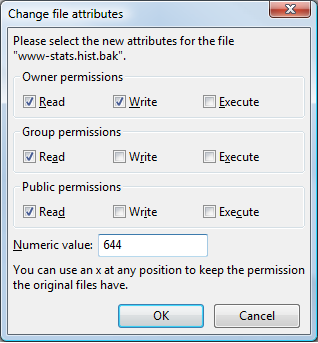 Select “File Permissions” from the options menu. Enter the desired options via numerical value or through the check boxes.